Painful memories of the Ultimate Act of Typewriter Vandalism came flooding back on Saturday when I stopped off in Bungendore, a small village 24 miles outside Canberra, on my way to meet Sydney typewriter collector Richard Amery in Tarago. 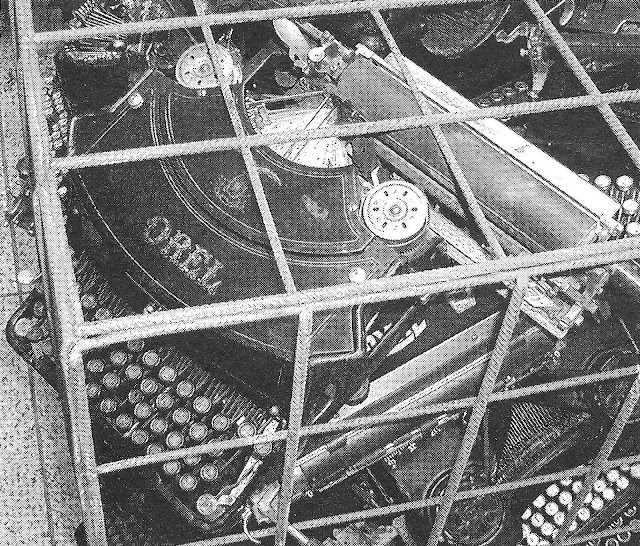 A friend who used to work for Sydney Pincombe, a leading Australian typewriter distributor, had texted me that he had spotted an Orel typewriter for sale at an antiques store in Bungendore, with a price tag of $A650 on it ($US675). I had my doubts that my friend had spelt the name right, but curiosity got the better of me and I made an effort to find the said machine. Sure enough, there it was, an Orel Model No 7 in excellent condition, tucked away on the middle shelf in a glass cabinet at the back of the store. 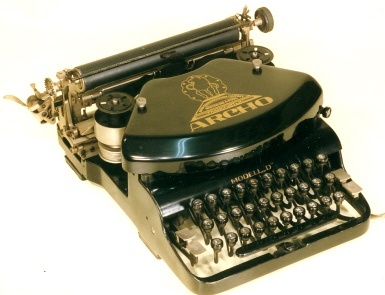 It is a thrust-action typewriter, based on an Adler 7. The Adler company, of course, bought the rights to Wellington Parker Kidder’s design for the Wellington, also made as the Empire. 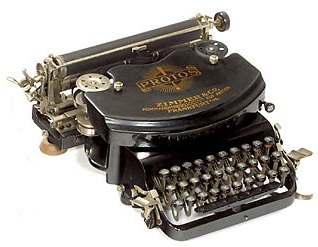 An Orel typewriter just like this one in Bungendore was part of the buzz among typewriter collectors worldwide nine years ago, following an article in ETCetera No 62 of June 2003 by Chuck Dilts, then editor of the journal with Rich Cincotta. This appeared at a time when I was just starting out in typewriter collecting. I remember all too well how outraged I was. 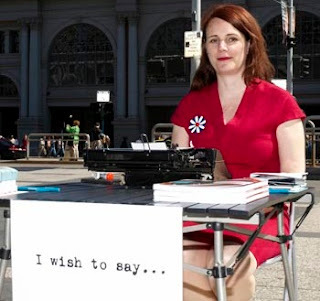 Here was me, desperately keen to get my hands on some historically significant antique typewriters - no easy matter Down Under in Australia - and there was an American woman vandalising them! As another Australian collector, the late Bruce Beard, of Perth, said back then, "the need for conservation of the relatively few typewriters left in the world has not been helped by indiscriminate acts of destruction ... The object of art is to create, not destroy." (Coincidentally, the Adler 7 in my own collection came from Bruce's estate). Chuck had written about visiting an exhibition at the Boston Public Library which included Sheryl Oring’s infamous “Writer’s Block” – this so-called “artist” had shoved as many as 600 beautiful vintage typewriters into metal cages, seriously damaging most of them and exposing them all to the elements. Oring first displayed her vandalism in Berlin in 1999. These images were taken by Gabriele Kantel. Chuck and Rich found to their horror that while it had been claimed the typewriters Oring used were “common, undesirable, non-functional and broken”, quite the opposite was in fact the awful, glaring truth. 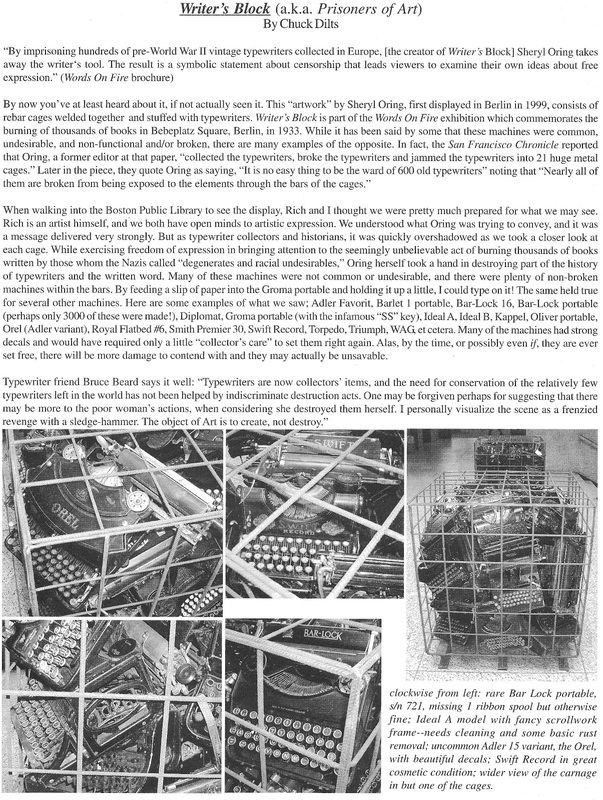 Among the machines Oring had vandalised was a very rare Orel. 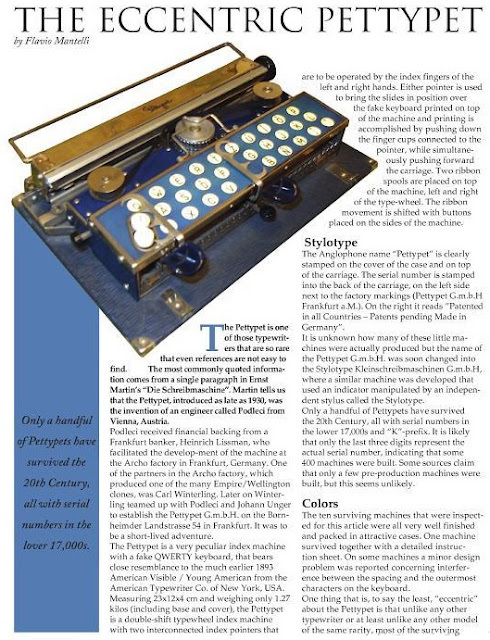 This model may not be all that desirable among collectors, even to this day, but it is nonetheless a rare, antique machine which deserves preservation. 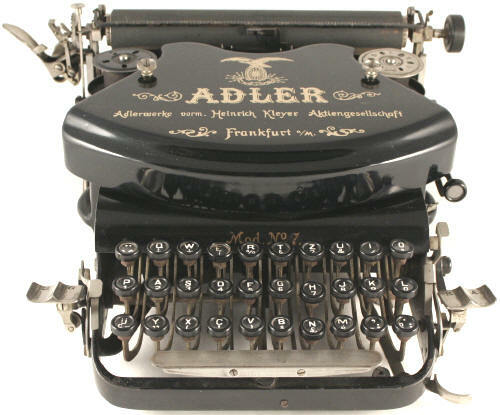 It seems the Orel was one of a range of like typewriters produced under different names by Adler itself. Others included Agile, Aquila (and further variations thereof), Orn and Vulture. At the time of Chuck’s article being published, Richard Polt wrote on the Yahoo! 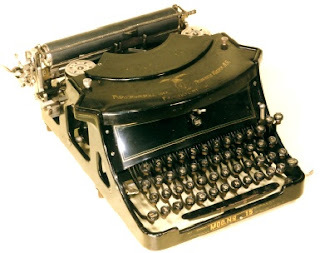 Online Typewriter Forum: “noteworthy machines that are included in ‘Writer's Block’ [include] an Ideal A, an Ideal B, an Orel, a Swift Record in top cosmetic condition, a Bar-Lock portable (rare), an Adler Favorit, a Barlet 1, a Royal flatbed No 6, etc. 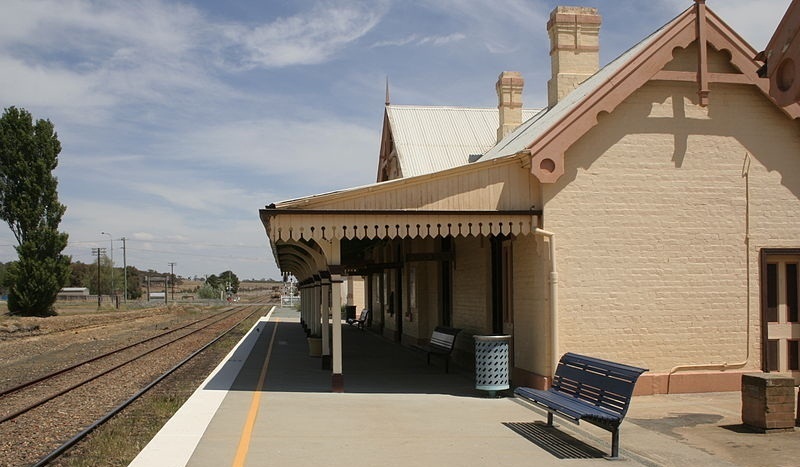 “OK, none of them are Crandalls - and I'm sure most of the machines in the project are indeed common and ‘undesirable’ - but the ones I listed are not things you see everyday. (I bet most of us don't even know what an Orel is - I didn't! It's a name variant of the Adler 15) I would be delighted to have any of these in my collection if they were in average condition.” The Adler 15 is pictured above. 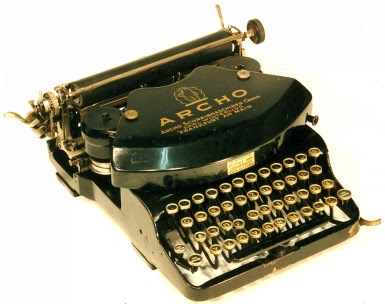 The Archo is a small thrust-action typewriter manufactured from 1920-1939 by ArCHO Schreibmaschinen Company Winterling & Pfahl of Frankfurt Am-Main. 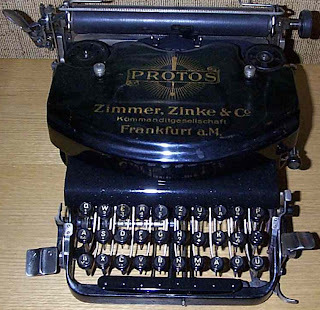 Although it is strikingly similar to the Wellington, Empire, Adlers, Orel et al, it is said to be not the work of Kidder but of the famous German typewriter designer Carl Winterling. 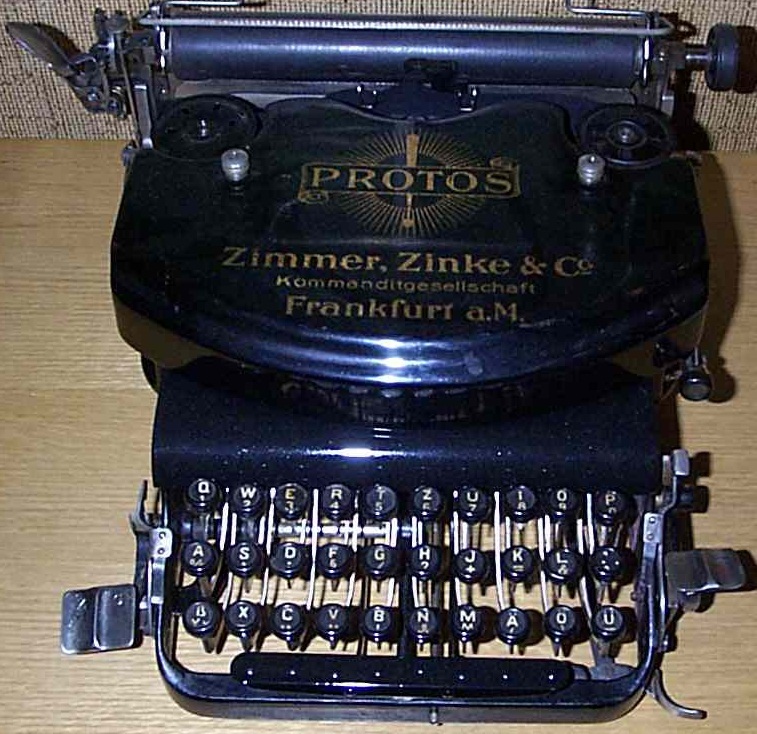 Georg Sommeregger, who describes the Archo as “cutting-edge”, traces the early development of the Patria portable typewriter to Winterling’s ArCHO Co, where Otto Haas worked. Another Winterling design which surely owes its origins to Kidder is the Melotype musical note typewriter. 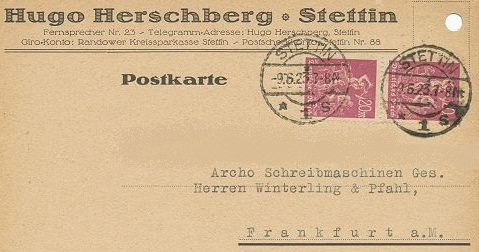 Small numbers of this rarity were produced by Otto Rechnitz and Alfred Bernstein in Berlin in the late 1930s. 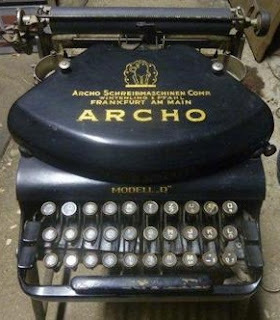 It is claimed that Archo is Greek for “I rule” – I can’t vouch for that. 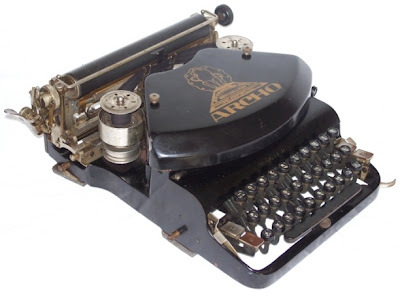 But Arnold Betzwieser tells us that the Archo typewriter was one of the first to be built in Germany after World War I.
Arnold says that Winterling had worked for Adler before setting up his own company, and was also involved with Torpedo. 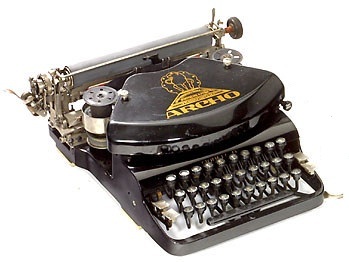 Arnold points out the Archo is based on the Adler 7, which is of course a Kidder design. 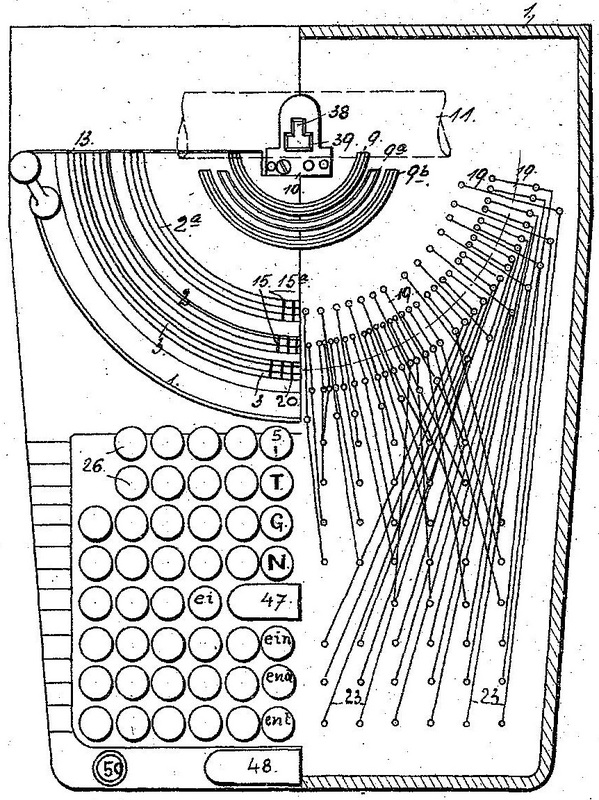 The Model D was the first produced, as the A, B and C never left the experimental stage. 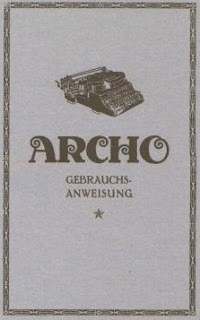 Arnold says the Archo “was a technically superior office typewriter with contemporary casing”. *Orel is a Latin name meaning "golden". TYPENOTE: Further to the "theme" of Oring's "art", Richard Polt commented at the time: "My fantasy happy ending for 'Writer's Block' would be this: after being exhibited in several venues, the typewriters are sold individually at an art auction or an auction of mechanical objects (such as the typewriter auctions run by Uwe Breker). Each one comes with a certificate of authenticity signed by the artist and a portfolio of photographs of the installation (even if the machines had no historical value before, they have some now!). 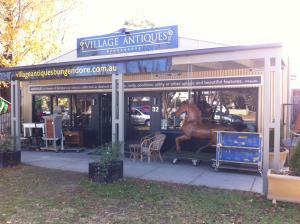 The proceeds from the auction are donated to a Holocaust museum or another worthy cause. 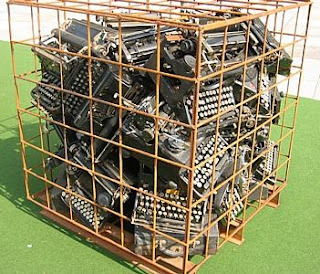 One part of the exhibit is left to be acquired by a museum: one cage, containing one typewriter - the Nazi typewriter, the Groma with the SS rune." It is interesting that in 2006 a Holocaust victim's assets claim for almost half a million Swiss francs was awarded to one Lucie Offenheimer, who sold a company of which she was part-owner to the ArCHO typewriter company in Frankfurt in 1938. Maybe some justice was at least served in that case, but not by Oring. What a confused "art" project this was, indeed! The artist's name is Cheryl Oring. I seemed to remember, and just now confirmed, that "orel" is Czech for "eagle." 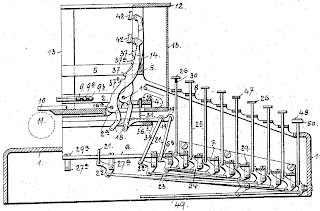 So the German Adler ("Eagle") machine was naturally sold in Czechoslovakia as the Orel. Thank you for the rundown of these various German thrust-action machines. 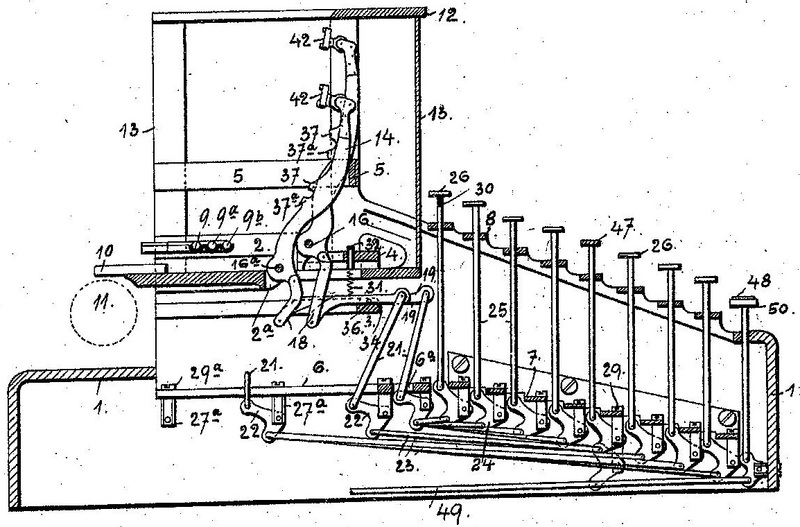 The mechanism certainly had much more longevity in Germany than elsewhere. Very interesting post. It is surprising how many times an artist will destroy things and call it art, but the rest of the world never sees it as art. So, if they made so damn many thrust-action variants of the little eagle, why can't I find a new ribbon? I sympathise with the reactions against the artworks. 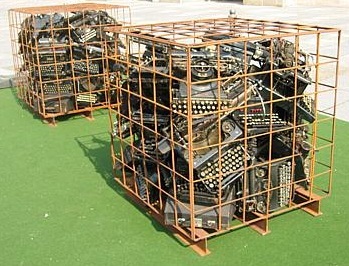 Risking ostracism, I have to say that to me, even from photos of the typewriter-filled gabions, it is a very powerful installation and I find myself wanting to defend the artist's freedom to do it... and my freedom to be moved by it... on quite a number of levels. 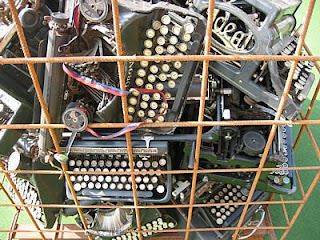 If we knew about that "art" thing sooner... Get a truck and a flamecutter, drive to Berlin, liberate the typewriters! Rob, I don't think anyone would say that artists shouldn't have the freedom to make artworks -- the question is whether it's a well-conceived work and makes an appropriate impact. Opinions differ. Thank you Richard, Georg, Bill, Rob and Florian. A special thank you to you, Richard, as I got your comment early enough to enable to me to quickly correct Oring - I must have got my Winterlings and Orings mixed up! I did leave it as Sheryl, though. And yes, you are obviously right about the Czech name. In response to Richard and Rob, my feeling is that the key issue here, as Chuck Dilts wrote, is not the art form but the destruction of old typewriters for the sake of art. 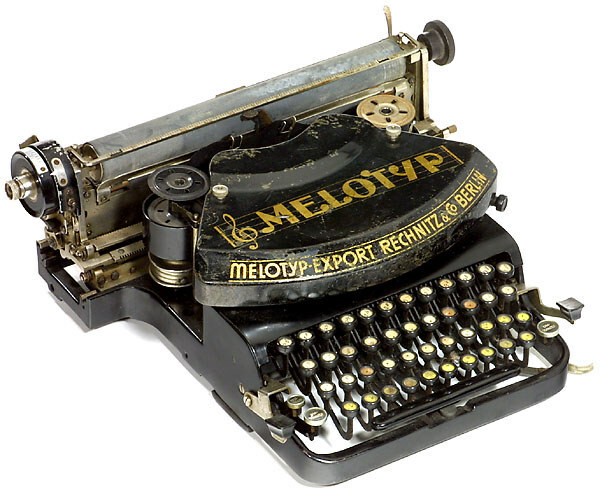 I go along with what Chuck said, that damaging functional typewriters was counter-productive to the object of the exercise. I'm very uneasy with the concept of an artist - or anyone for that matter - destroying something of historical value to make a point. Isn't that what the Taliban do? I looked up the artist and have to say I do find her other work stimulating too. 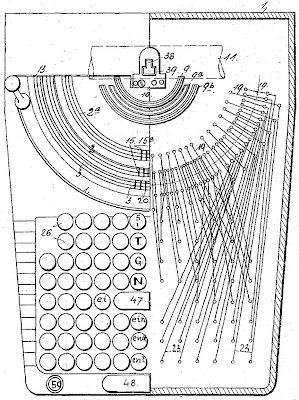 For the piece in question, I'd argue that the rarer and more unusual the typewriters sacrificed for the installation - the greater its power. Our collective indignation (if not stronger emotions) is an entirely appropriate response. Rather than destroying them, the artist has rendered the typewriters tantalisingly close but inaccessible. Emulating the actions of a totalitarian regime (internet censorship, book burning, telephone bugging) as Robert points out, is distasteful. Makes you want to right a wrong, do something about it. The more I think about it, the more I think the artist had no option than to make the work she did. It would be interesting to discover where the typewriters are now - I might ask her.